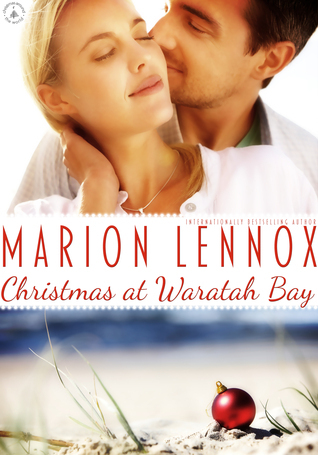 Giving an old man one last perfect Christmas, that is what Sarah Carlton has returned to Waratah Bay for. Years ago when she was abandoned by her father after he ran out with Harold's gold digging wife; Sarah just rolled with the punches, but Harold took her in and bonded with her like the daughter he never had. He continued to correspond with her even after she was shipped back to America. Now a famous model, she runs back to Waratah Bay when Harold stop answering her phone calls she knows things are bad. Max Ramsey bought most of Harold's farm after he had to sell most of it to provide for his adoptive step daughters; and befriended the man. When Max sees Sarah he believes she is one of his gold digging adoptive daughters come to ensure they get every last crumb. Soon Max, the scrooge gets roped into Sarah's plans for the perfect Christmas and along the way learns that family isn't as bad as he's always thought it to be. The story is sweet, endearing and full of holiday spirit. Harold gets the perfect Christmas he's always wanted; Sarah gets to give the man she loves like a father the best thing holiday ever and Max gets to find love.